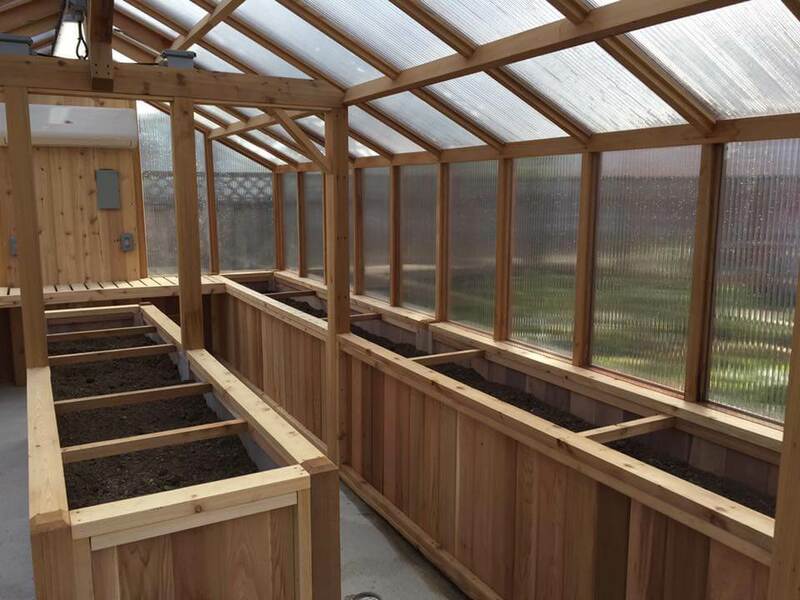 This custom built greenhouse offers the client the beauty, warmth and natural ambiance of a solid cedar conservatory. 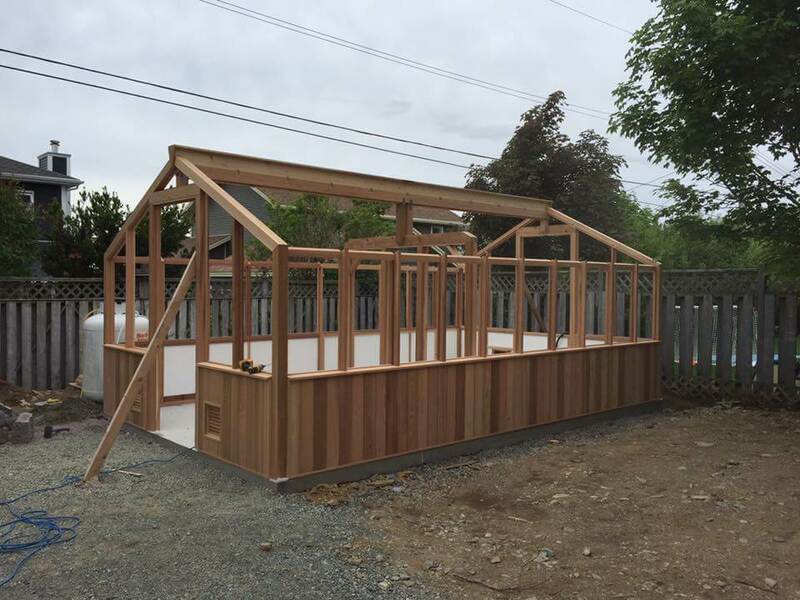 The 10 x 24 foot structure features a high peak roof which allows summer heat to rise and easily sheds snow in the winter. 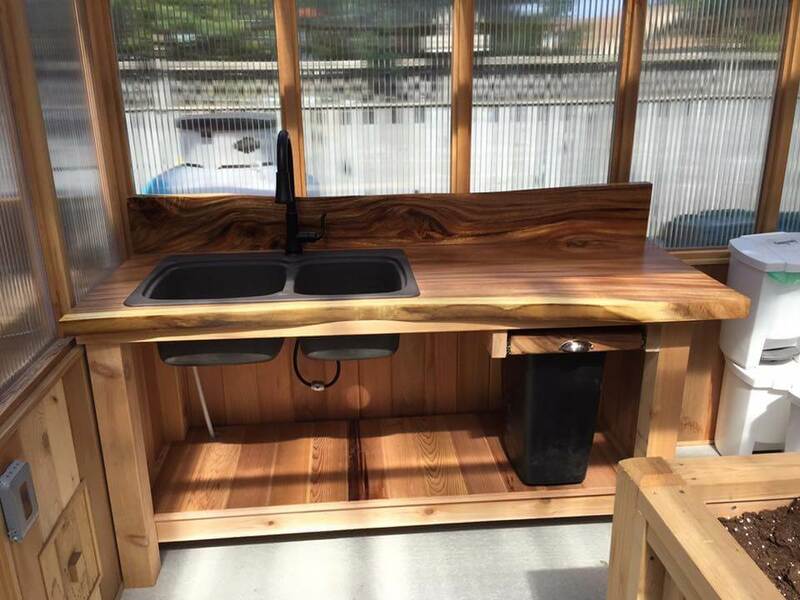 A custom built working desk was created for the client utilizing a thick oak wood for a countertop showpiece. 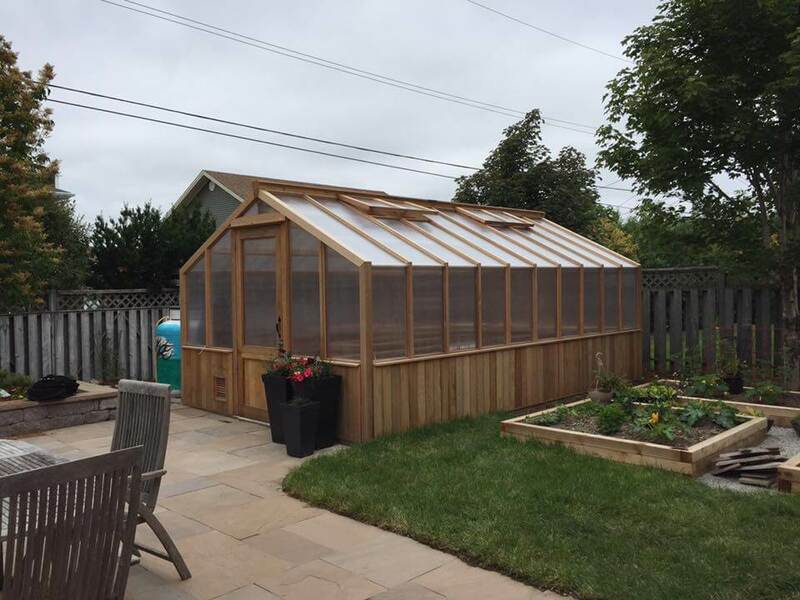 This greenhouse is ideal for year-round entertaining and serves as a backyard retreat from the main house.